BANGKOK - Thailand’s first election in eight years threw up inconclusive results as a pro-military party trying to get Prime Minister Prayut Chan-o-cha to return as premier has won the most votes, but many unofficial sources show the former ruling Pheu Thai party bagging the most constituency seats. The Election Commission had so far on Sunday (March 24) not disclosed the number of constituency seats won by each party among the 350 wards contested. With 93 per cent of overall votes counted, the Election Commission reported the pro-military party Palang Pracharath was leading with 7.59 million votes. 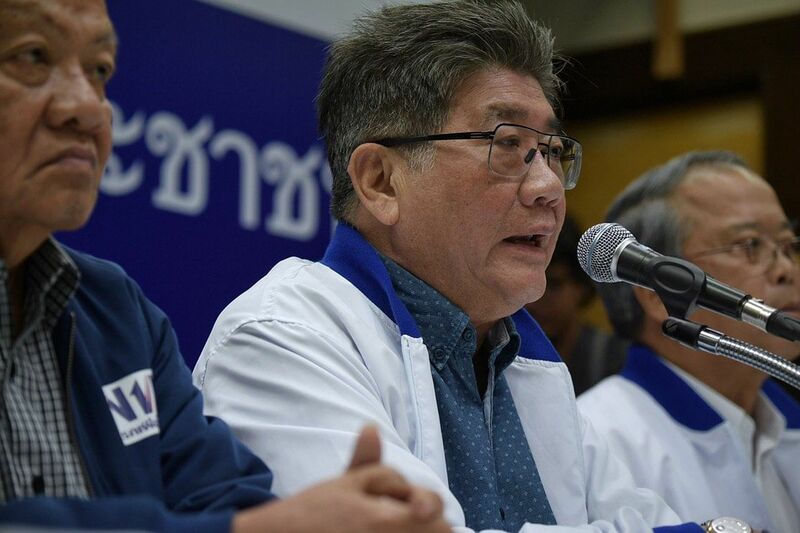 But state broadcaster MCOT, using preliminary tallies, showed that Pheu Thai had performed the best at the constituency level, winning 124 seats. It was trailed by Palang Pracharath with 95 seats, followed by Bhumjaithai Party with 39 seats. Former premier Abhisit Vejjajiva on Sunday stepped down as leader of the Democrat Party after its poor showing, with only 33 seats based on figures from MCOT. According to election rules, another 150 seats in Thailand’s Lower House will be allocated according to the share of votes which each party gets. Even if Pheu Thai emerged the biggest winner in Sunday’s general election, the question remains whether it can form the next government. On the eve of the election, the Royal Household Bureau released an unprecedented statement on behalf of King Maha Vajiralongkorn asking voters to choose their leaders carefully. It cited a 1969 speech by the monarch’s father, the late King Bhumibol Adulyadej, to support “good people” and prevent “bad people” from gaining the power to create chaos. Urging Thais to follow these principles, it said: “His Majesty is concerned about the country’s security, and the feelings and happiness of the people.” The statement was broadcast again on television minutes before voting started at 8am. 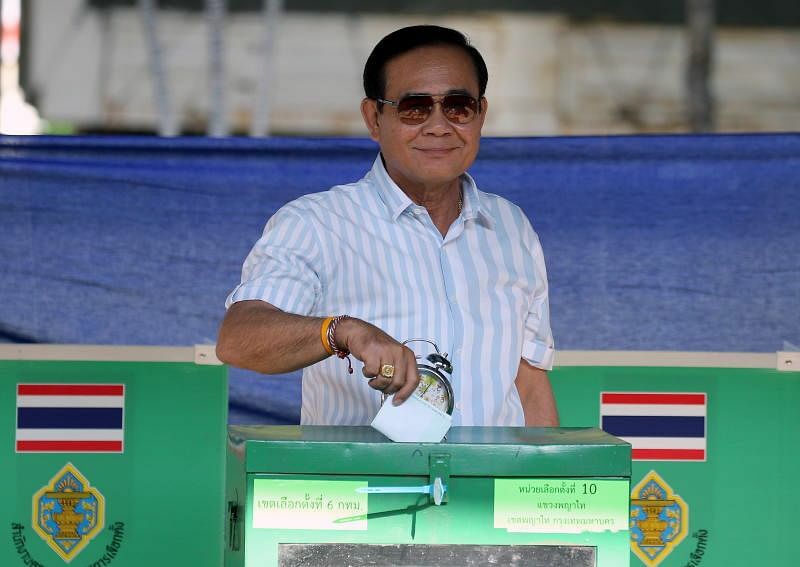 Voters cast their ballots after nearly five years of military rule under former coup-leader and current premier Prayut. The retired general was seeking to come back as a civilian premier nominated by the pro-military Palang Pracharath party. The parties will likely now race to knit together coalitions to command a parliamentary majority. But the rules are heavily tilted in Mr Prayut’s favour. In the 750-seat parliament, most of the 250 senators will be chosen by the ruling junta. This means parties supporting Mr Prayut need only muster 126 seats in the Lower House, to get the minimum 376 seats to control parliament. Negotiations to hammer out a governing coalition could take months, say analysts. Asean’s second largest economy has weathered a turbulent democratic history filled with short-lived civilian governments frequently toppled up by military coups. Pheu Thai belongs to a political faction that has won every election since 2001. It is linked to fugitive former prime minister Thaksin Shinawatra, who was ousted in 2006 and vilified by the royalist military establishment for his populist policies. Palang Pracharath, meanwhile, has portrayed the royalist Mr Prayut as Thailand’s saviour, saying that the country would not have been able to survive past political upheavals without military intervention. The Election Commission is expected to release official results within 60 days.